NOTE: Model numbers can be found on an I.D. tag on the boat motor or on boat registration or insurance paperwork. Enter a 1962-1998 OMC part number in the Search by Part Number field at the top of the page for our online inventory of OMC sterndrive and engine parts. Aftermarket outboard repair manuals are available for years 1964 through 1998. 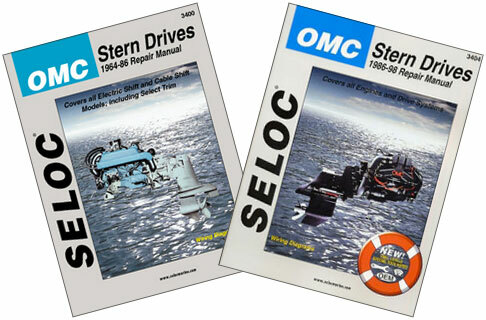 Preview manual contents and order aftermarket OMC outboard repair manuals. Printed books and online subscriptions are available! Each of these online catalogs offers application charts for OMC parts to help you find discount outdrive and motor parts. Please call for assistance for any hard-to-find OMC parts. WHICH IS WORSE? Tired of searching the web for OMC parts near me? Is driving around to shops faster than finding OMC parts online?